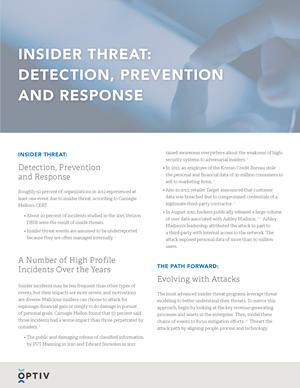 Insider incidents may be less frequent than other types of events, but their impacts are more severe, and motivations are diverse. Malicious insiders can choose to attack for espionage, financial gain or simply to do damage in pursuit of personal goals. Read this security brief to learn how to thwart the attack path by aligning people, process and technology.